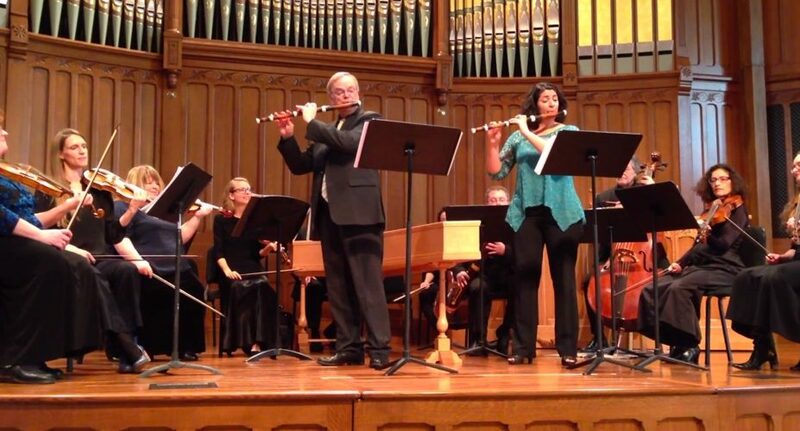 Barthold Kuijken and Leela Breithaupt performing with the Indianapolis Baroque Orchestra. “A little knowledge is a dangerous thing” is a quote from the pen of Alexander Pope, but it might, in retrospect, also be a warning from his predecessor in France, Jean-Baptiste Lully (1632-1687), who died the year before Pope was born. 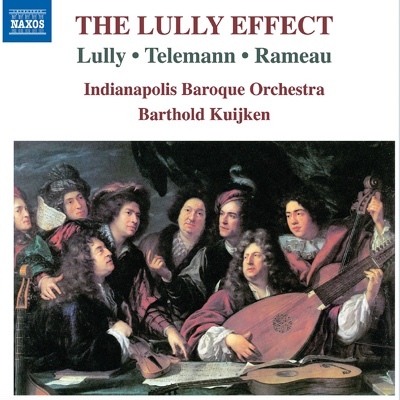 I confess to having a sense of Lully’s orchestra based on the knowledge that he wrote multiple parts for alto and tenor string instruments, suggesting a euphony radiating from the band’s solar plexus — much like the way people used to talk about the Robert Shaw Chorale, with its extra singers on the middle parts. So the surprise is that there is no surprise: The sound very much conforms to the Baroque treble-bass norm. But once we get over our misplaced disappointment, we can enjoy the playing of the Indianapolis Baroque Orchestra and its program of Lully, Georg Philipp Telemann (1681-1767), and Jean-Philippe Rameau (1683-1764), the latter two almost exact contemporaries of Pope. The interpretations benefit from Kuijken’s own realizations of appropriate ornamentation, which enriches otherwise plain orchestral writing. A couple of excerpts from Lully’s Armide (the Ouverture and the Act V, Scene 2, Passacaille) set the scene, with flutists Barbara Kallaur and Leela Breithaupt gracing interludes in the Passacaille. In the trio of the Menuet-Trio of Telemann’s Ouverture in E Minor, TWV 55:e3, oboists Sung Lee and MaryAnn Shore and bassoonist Stephanie Corwin have a chance to shine. As is so often the case when Rameau is on the program, his music steals the scene. The suite of orchestral excerpts from his tragédie en musique Dardanus is a cornucopia of musical pomiculture. Again, the flutes must be complimented for their contribution in the Prologue, Scene 1, Air pour les Plaisirs I, and in the chirping Act III, Scene 3, Tambourine I-II. The orchestra is sparkling in the (dare I say) famous Tambourin I-II from the Prologue and the Act III, Scene 3, Air gay en rondeau, and incisive in the Air vif from Act I, Scene 3. But this is only to pick out some highlights from an overall standout performance and recording.